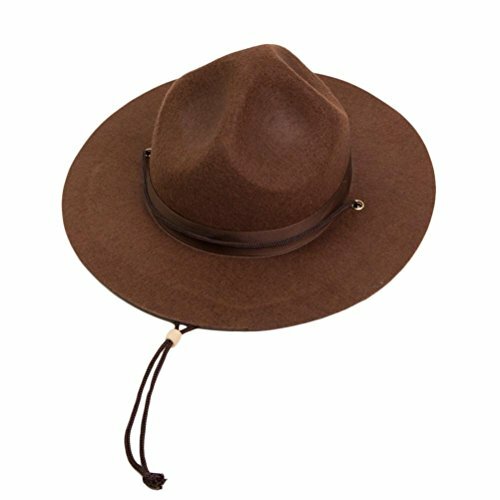 This is the highest quality cap you will find on the market. 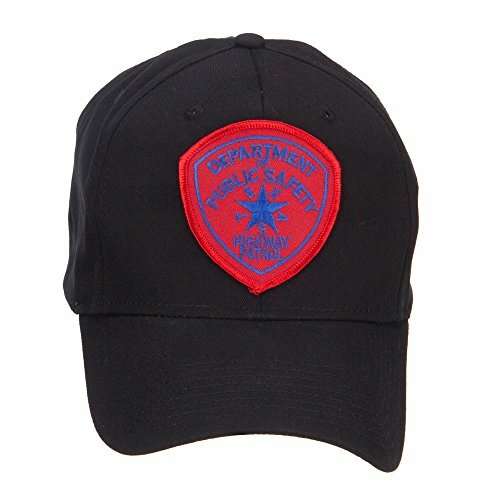 The emblem is custom made and professionally stitched to the cap. 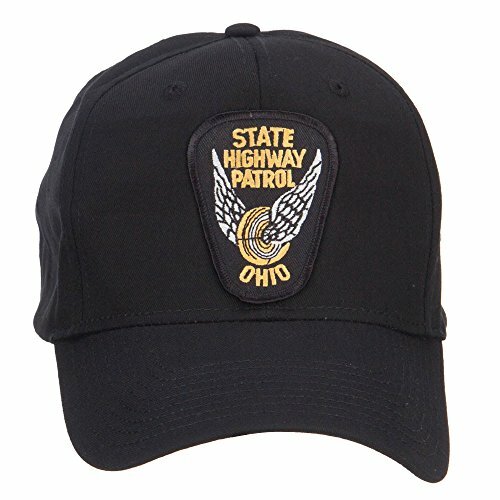 Embroidered patch of Ohio state highway patrol is featured on the front crown of cap.6 small ventilation holes placed on each panel of crown.Front crown is constructed.Bill is stiff and pre curved.6 panels.High profile.Our Ohio patrol patch cap is great for those state officers or police in Ohio state.All Season.7.5(W) X 11(L) X 4(H) inches.Thick, soft and light material.Available in different colors and styles. 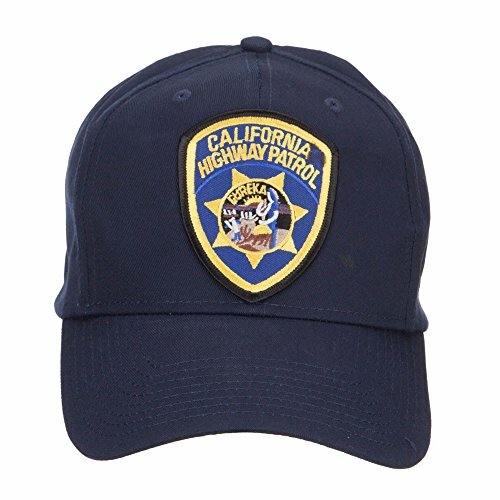 Embroidered patch of California Highway Patrol is attached on the front crown.6 small ventilation holes placed on each panel of crown.Front crown is constructed.Bill is stiff and pre curved.6 panels.High profile.Our California patrol patch cap is great for state departments, state police and officers.All Season.7.5(W) X 11(L) X 4(H) inches.Thick, soft and light material.Available in different colors and styles. 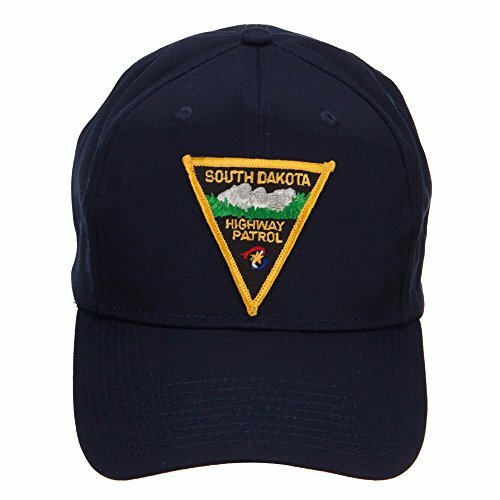 Embroidered patch of South Dakota Highway Patrol is attached on the front crown of cap.6 small ventilation holes placed on each panel of crown.Front crown is constructed.Bill is stiff and pre curved.6 panels.High profile.Our highway patrol patch cap is great for state officer, police, department of South Dakota state.All Season.7.5(W) X 11(L) X 4(H) inches.Thick, soft and light material.Available in different colors and styles. 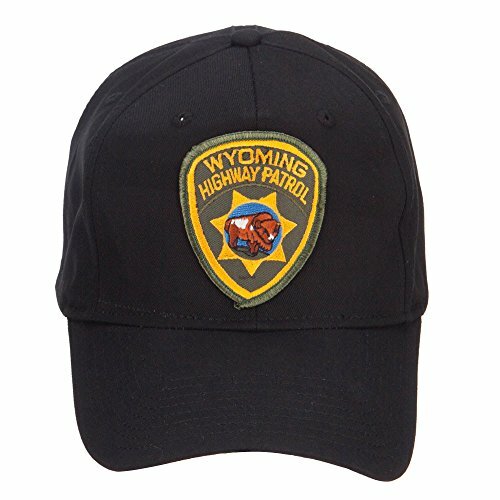 Embroidered patch of Wyoming Highway Patrol is attached on the front crown of cap.6 small ventilation holes placed on each panel of crown.Front crown is constructed.Bill is stiff and pre curved.6 panels.High profile.Our highway patrol patch cap is great for all Wyoming state uses.All Season.7.5(W) X 11(L) X 4(H) inches.Thick, soft and light material.Available in different colors and styles. 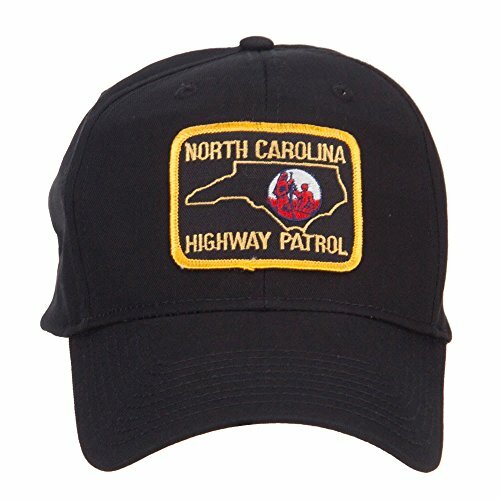 Embroidered patch of North Carolina Highway Patrol is attached on the front crown.6 small ventilation holes placed on each panel of crown.Front crown is constructed.Bill is stiff and pre curved.6 panels.High profile.Our North Carolina patrol patch cap is great for state departments, state police and officers.All Season.7.5(W) X 11(L) X 4(H) inches.Thick, soft and light material.Available in different colors and styles. 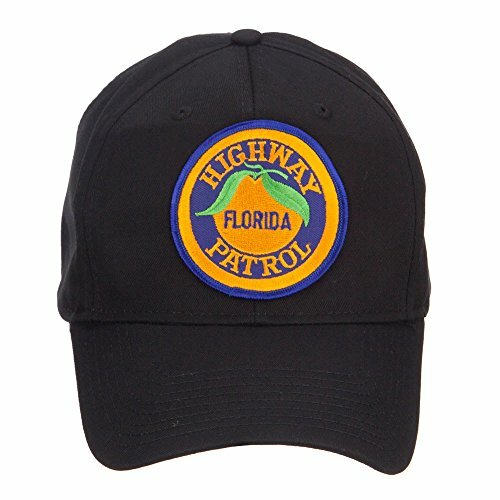 Embroidered patch of Florida Highway Patrol is featured on the front crown of cap.6 small ventilation holes placed on each panel of crown.Front 2 panels are constructed.Bill is stiff and pre curved.6 panels.High profile.Our Florida patrol patched cap is a great for law enforcement, state department, police supporters, and casual wear.All Season.7(W) X 11(L) X 4 1/2(H) inches.Thick, soft and light material.Available in different colors and styles. Embroidered patch of Texas state highway patrol is featured on the front crown of cap.6 small ventilation holes placed on each panel of crown.Front crown is constructed.Bill is stiff and pre curved.6 panels.High profile.Our Texas patrol patch cap is great for state departments, highway officers and polices in Texas state.All Season.7.5(W) X 11(L) X 4(H) inches.Thick, soft and light material.Available in different colors and styles. 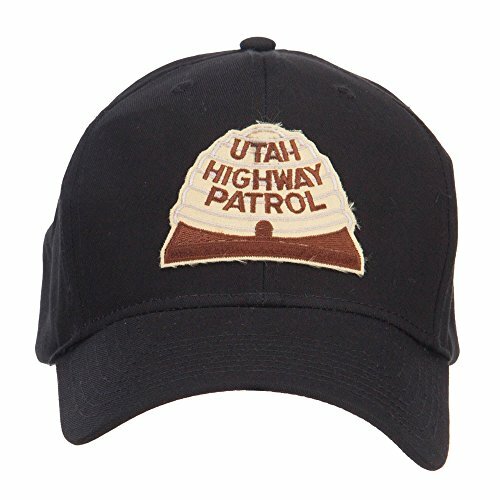 Embroidered patch of Utah state highway patrol is featured on the front crown of cap.6 small ventilation holes placed on each panel of crown.Front crown is constructed.Bill is stiff and pre curved.6 panels.High profile.Our Utah patch cap is great for state departments, officers and polices in Utah state.All Season.7.5(W) X 11(L) X 4(H) inches.Thick, soft and light material.Available in different colors and styles. 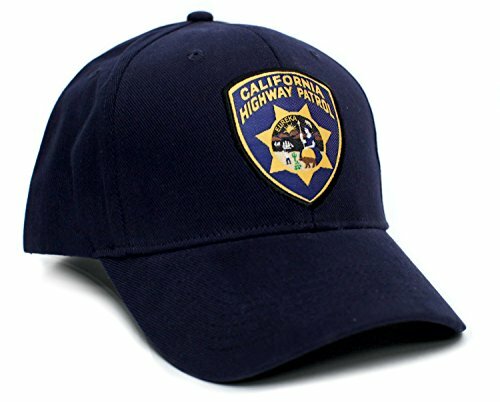 "The Many Hats of Highway Incident Management"